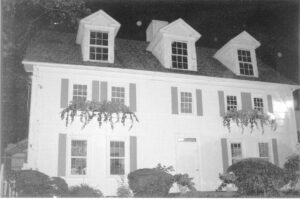 Long Island’s ghostly past comes alive. 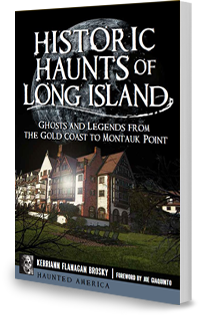 Take a ghostly journey through Long Island’s history, from Native American legends to the Revolutionary War and beyond. 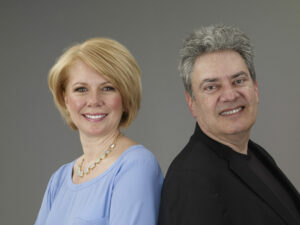 Through extensive research, interviews and investigations, award winning author and historian Kerriann Flanagan Brosky, working alongside medium and paranormal investigator Joe Giaquinto, has uncovered Long Island’s eerie history. Kerriann and Joe’s credibility and unique approach to ghost investigating and the paranormal allow them to uncover mysteries and untold tales, like the ghosts that lurk the halls of Oheka Castle in Cold Spring Hills. 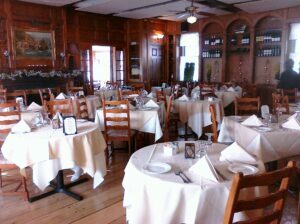 Even popular businesses have otherworldly visitors, like Bayport’s Gray Horse Tavern and the Cutchogue Village Green. 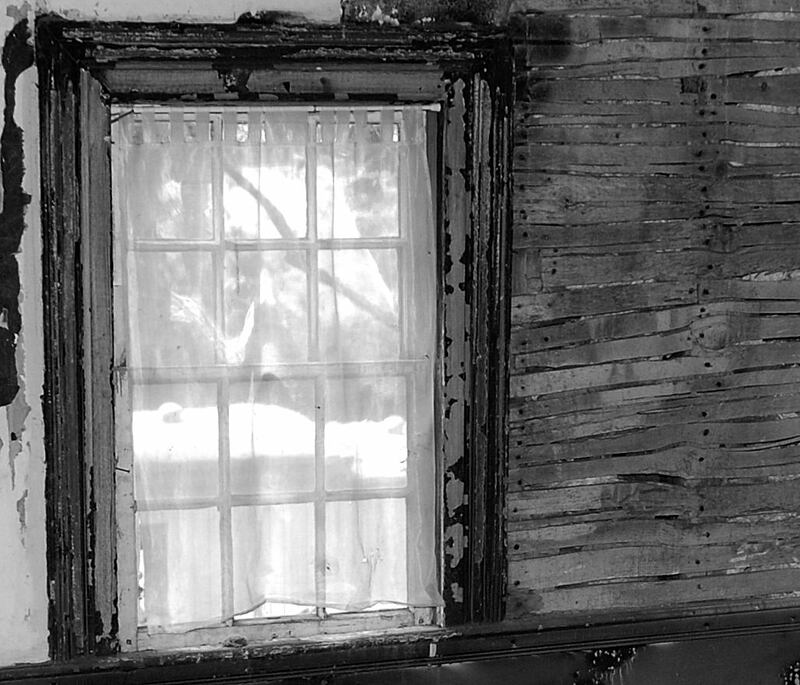 Long Island’s history has been unearthed and preserved through the ghost stories and spirts who have made their presence known; those who have lived before us, and those who continue to guide us. The following photos could not be reproduced in the book due to quality reasons. You may view them here online. Unless indicated, the photos were taken by Kerriann Flanagan Brosky. Click to enlarge the image. Scroll down to listen to EVP’s from the book. The Country House Restaurant in Stony Brook. Orbs can be seen surrounding the dormers. 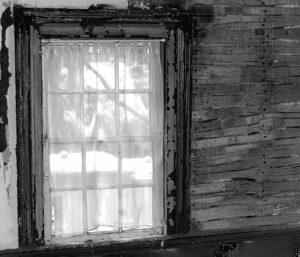 A magnification of a window from Winfield Hall in Glen Cove. 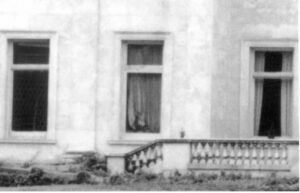 Note the apparition of the woman. Could this be the ghost of Edna Woolworth? 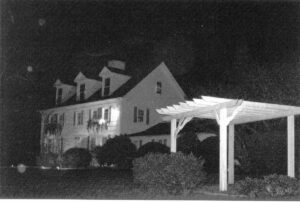 Click here to listen to EVP’s (electronic voice phenomenon) from Historic Haunts of Long Island.